Do you provide maintenance services for public or private fleet operations? Both. We provide customized fleet solutions to numerous types and varying sizes of fleet operations, including governments, school districts, private fleets, petrochemical, food and beverage, universities, airports, and utilities and much much more. If you have a fleet, please contact us and we can help. What types of parts do you use on my vehicles? Ultimate Automotive Truck & Equipment furnishes high-quality parts that meet or exceed OEM specifications. If you want something new or different, talk to us. We have experience with everything from specialized lubricants to cryogenic parts so we can provide advice as well as supply and install the parts. Invoices can be submitted in a variety of ways based on customer preference. US Mail, Email, Fax, Software Integration, etc, Here at Ultimate Automotive Truck & Equipment we understand your vehicle is in our shop and not on the road where it makes you money. Because we understand this so well we work diligently to make sure the billing process is easy and attainable. We are open Monday thru Friday from 7:30am to 5pm. Fill out the “Schedule an Appointment” form Clicking Here Now! How do I cancel a Service Appointment? Do you offer after hours car drop-off service? For our after hours customers, we ask you label your keys in some fashion (many use an envelope) and then drop them in the key slot located right in our office front door. By doing this your keys are secure in our building until we receive them. How can I get an estimate for needed repair work or service? After many years of helping our customers correctly, we find it best to have you bring your vehicle into our shop and have one of our talented technicians look at your vehicle so we can advice you on exactly what you need. After all . . . you wouldn’t ask your doctor to diagnose you over the phone, would you? Please contact one of our advisors by calling: (860) 635-4133, or simply contact our office at by Clicking Here Now! Give us your vehicle information and what you want estimated, and we will get back to you shortly. Ultimate Automotive Truck & Equipment offers shuttle service or free car loaners with repair. Ask for details. Yes, we do! 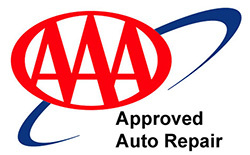 As long as you own your vehicle, all repair work performed at our location comes with a 24 Month 2 year warranty. We stand behind our workmanship better than anyone.